The picture brought back all kinds of memories: mostly good, some a little more bitter-sweet. 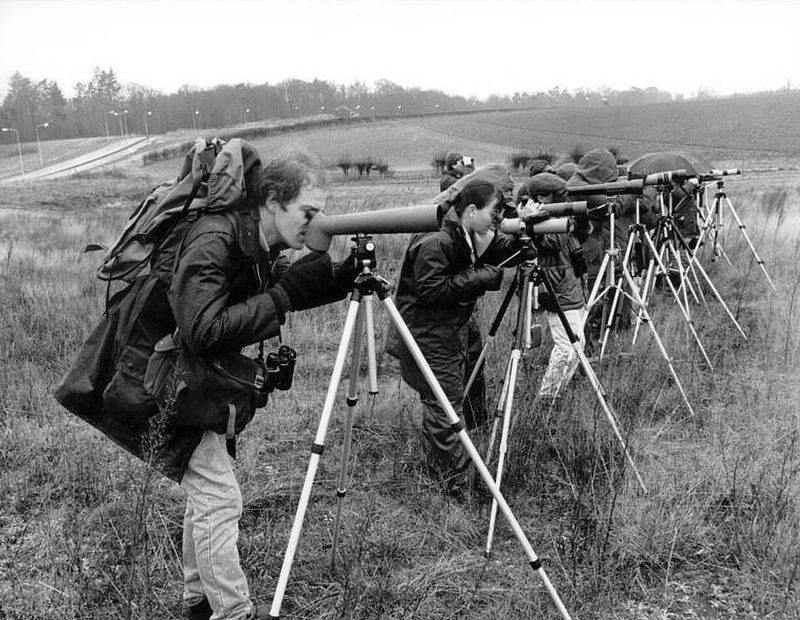 The birders are looking at an Arctic Redpoll (I don't recall that the species was separated back then - it was very white, so maybe it was a Hornemann's) The rough ground they're standing in is now the vast Dussindale Estate. East Norfolk is gradually being buried under expensive housing for the benefit of property speculators from outside the county. 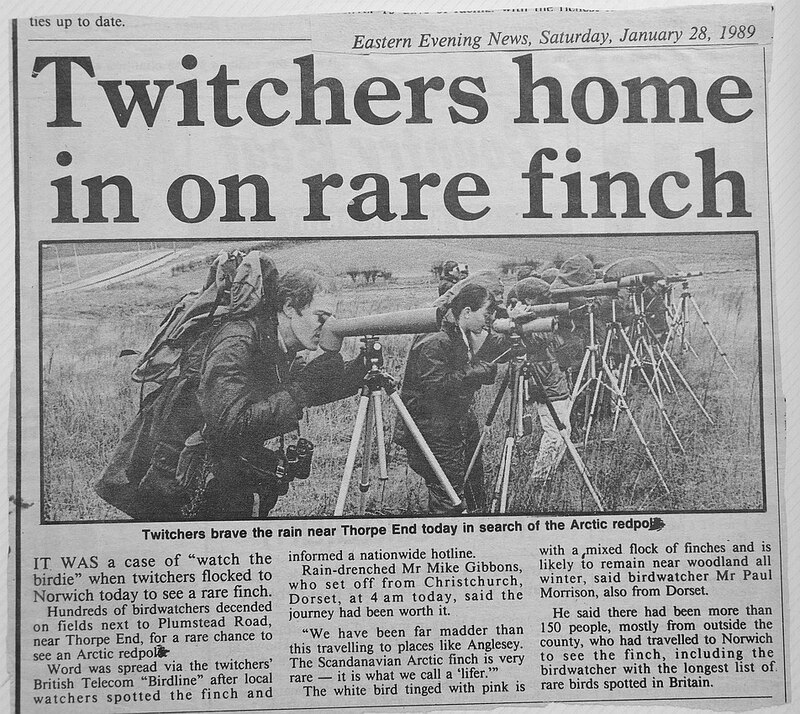 This was one of the first birds that Linda and I twitched together: who'd have thought that 29 years later we'd be a year away from our silver wedding! 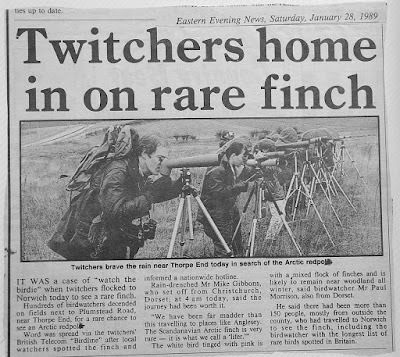 The young woman second from the front, Sally Whitehead, was a regular birding chum of ours. 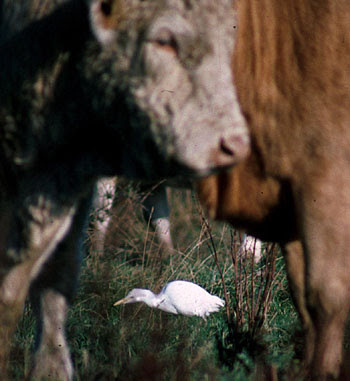 I first met Sally and her boyfriend Martin in Nancy's Café at Cley, when they cadged a lift up to Lincolnshire to see a Cattle Egret (A rare bird in those days!) The four of us became great friends, enjoying twitches all over the south of England,and going on a couple of Scillonian Pelagics together. She and Martin were eventually married, but soon split up: Linda and I have never seen her since (although I believe she stayed in contact with my ex-wife for a year or two!) We often wonder what became of her.